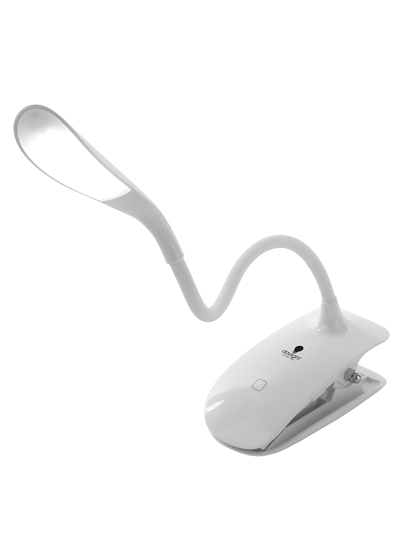 The LED light is portable and flexible! This modern and portable clip-on lamp is a great companion for crafting or reading. It can easily clip onto a needlework frame, book, table or laptop. 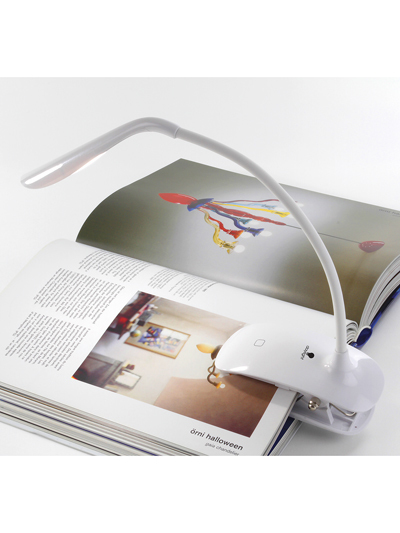 The flexible arm directs the light where you need it most! This daylight LED light delivers high contrast, accurate color matching, low heat and the flexibility that you demand. Easy to pack up, take with you, set up and use whenever you need it most! Light is rechargeable and USB compatible. Lamp is approximately 12" tall.